The Anime Art Exchange will allow users to issue rare digital art on the blockchain that can then be traded on a decentralized exchange for the new ANIME coins. Artists can use the AnimeCoin app to sell their works to digital collectors, fans, and patrons. Artists have control over their “rare” digital assets through encrypted signatures and decentralized Masternodes. Decentralized computers called “Masternodes” check the image for duplicates, copies, etc, and authenticates your original artwork. 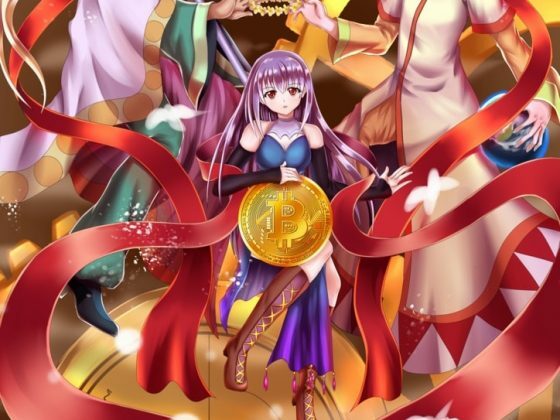 AnimeCoin is a fork of ANI, the first anime crypto currency launched in January 2014. The new AnimeCoin (ANIME) will serve anime artists, the community, and the industry! Stephen is an alumnus of Dartmouth College and an expert in the field of digital marketing. He has been a cryptocurrency investor and enthusiast since 2015. Prior to entering the marketing world, Stephen worked as a trader at Bridgewater Associates before embarking on a 7 year career as a renowned, high stakes professional poker player. Andrew is the CEO of Bizurk Software, and has been involved in many indie anime projects including: UI / UX developments for Yandere Simulator; obtaining live orchestrated music score for TinyWars game; & managing a team of writers and social media coordinators reaching up to 11 million facebook users per week for AnimeWorld.io, an anime news and shop platform. Jeff Emanuel is the Founder of the Animecash Project. Jeff is also the managing partner of Cointel, a provider of crypto-related market data and analysis services to institutional investors. Matt Colletta studied business management at San Diego State University. Matt specializes in digital marketing and business operations expertise. Currently Matt is focused on the cryptocurrency space as the president and co-founder of coincentral.com. Don’t Be the Only One Left Out! Join the AnimeCoin club and get beta access to the art exchange, exclusive updates and news!